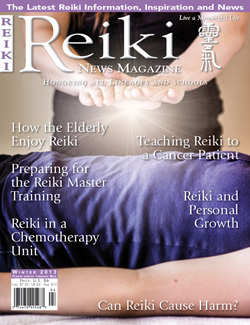 Teaching Reiki to cancer patients as a daily self-care practice allows them to become active participants in their healing,find deeper connection and meaning in life as well as a stronger sense of self. It also allows the teacher to grow. Reiki: Finding A Higher Calling is the story I wrote with Carie, a young cancer patient, who came to me 10 months ago to receive Reiki. Our journey was transformational for both of us in many ways. Carrie is now back to school, preparing a Master in Occupational Therapy and working part-time in a local retirement home. Reiki is still very much part of her life.